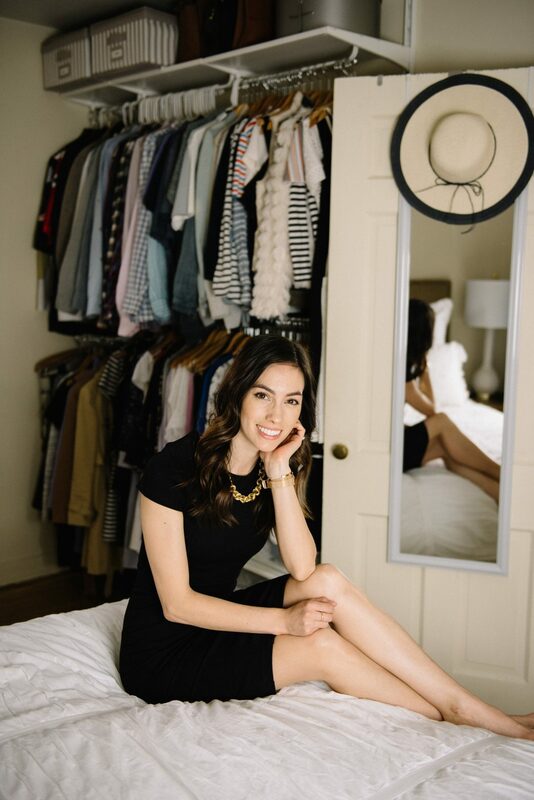 Living in a small apartment for the last [going on] seven years taught me that tiny nursery organization would require a bit of creativity in order to be efficient. 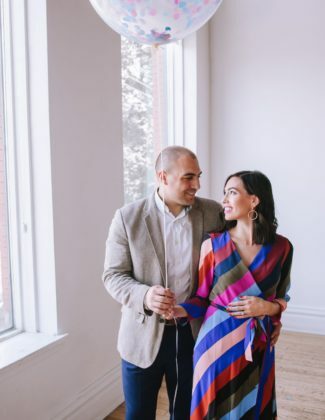 To start, we live in a one bedroom apartment, which meant that our little one would be sharing a room with us. 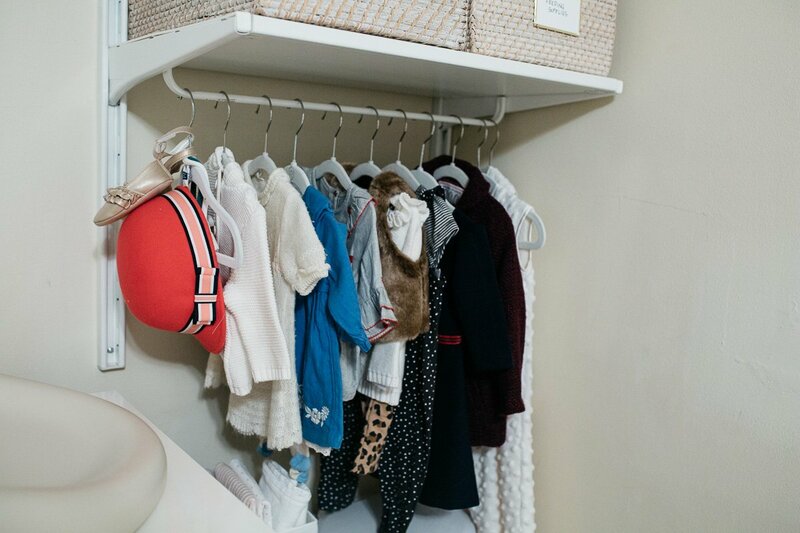 Finding space for baby meant [first] cleaning out and then creating more efficient storage solutions before she arrived. We didn’t purchase a rocking chair right away but, after countless hours of standing and bouncing/rocking, we finally gave in and bought this one from Target. Our feet are thankful we did! We are obsessed with this Keekaroo changing pad, and actually so is Josie! This is her favorite place to play. She’ll giggle and smile and that mobile or out the window for an hour! The best part is that it can be wiped clean and no washing is necessary. We keep some disinfectant wipes on the diaper cart for easy cleanup when she gives us little surprises. This wipe dispenser may have been a luxury purchase but it’s probably one of my favorites. Getting wipes out is so fast and easy because of the weight. You never have to struggle to pull one out of the package and end up needing two hands to pull them apart. Granted, Josie is a breastfed baby so her poop doesn’t smell too bad anyway BUT, this Arm & Hammer diaper pail does a great job eliminating any odors. I would never even know there were dirty diapers in our room! 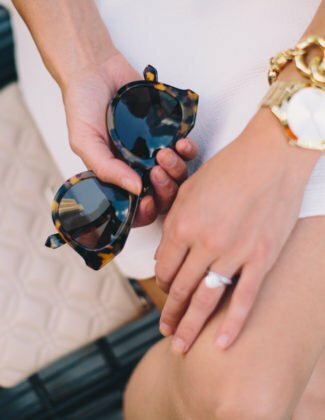 You know I love a good label when it comes to closet organization. 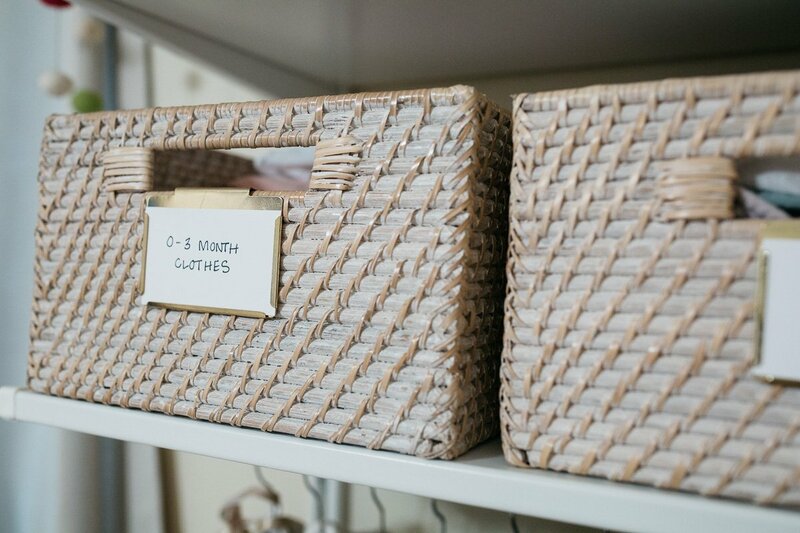 These label holders from the Container Store are totally functional but also look so pretty on these whitewashed bins. They are removable so, if I wanted to add them to a different container down the road, I could do so easily. 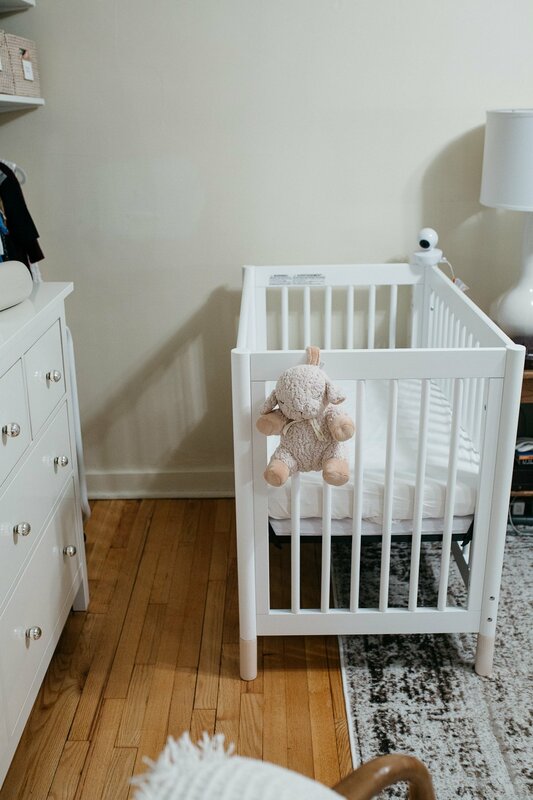 We knew we could never fit a full-sized crib in our apartment and, while there are a ton of mini crib options, Babyletto was definitely the most affordable option. Other brands like Bloom and Stokke make similar versions, but the price point on the Babyletto was much more practical for our situation. It’s super sturdy and I love the minimalistic design. My only complaint is that I couldn’t find a plain set of sheets from Babyletto, so I ended up ordering our mini crib sheets from West Elm (I highly recommend having at least three sets of sheets because babies spit up A LOT and, if you have a shared laundry like we do, you won’t want to constantly be doing wash.) We opted for the Gelato version because it will convert into a twin bed when the time comes, but we had also considered the Origami mini crib for its compact size and portability. This utility cart stores everything. We use it for diapers, medical supplies, burp cloths, wipes, and diaper pail essentials. 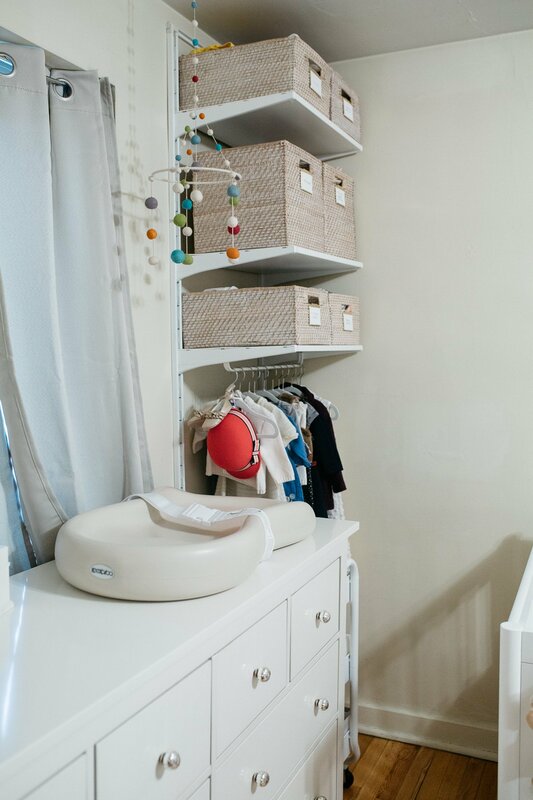 It’s absolutely perfect for our tiny nursery because it fits in a small space, but can easily pull out to access the items tucked into the back. 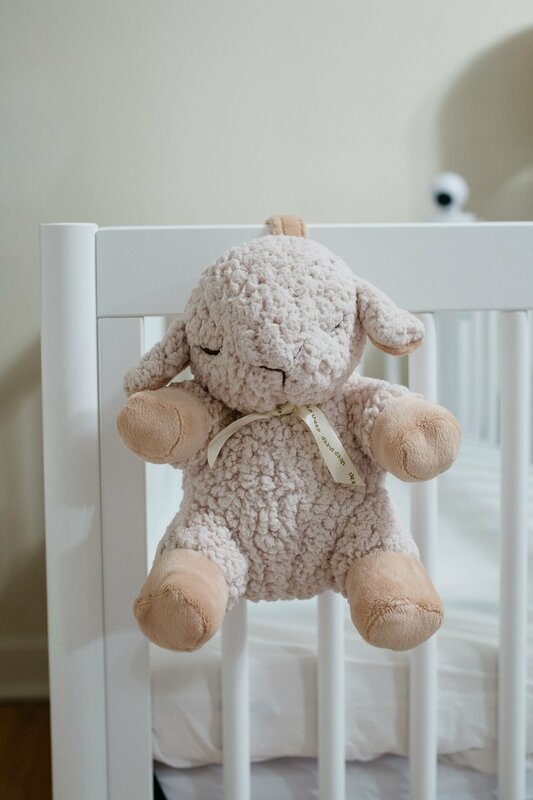 This was the first thing we bought for the nursery and definitely the most important! For the few “dressy” items of clothing that we have for Josie, I wanted the ability to hang them. I found these kids-sized huggable hangers at both the Container Store and Target. 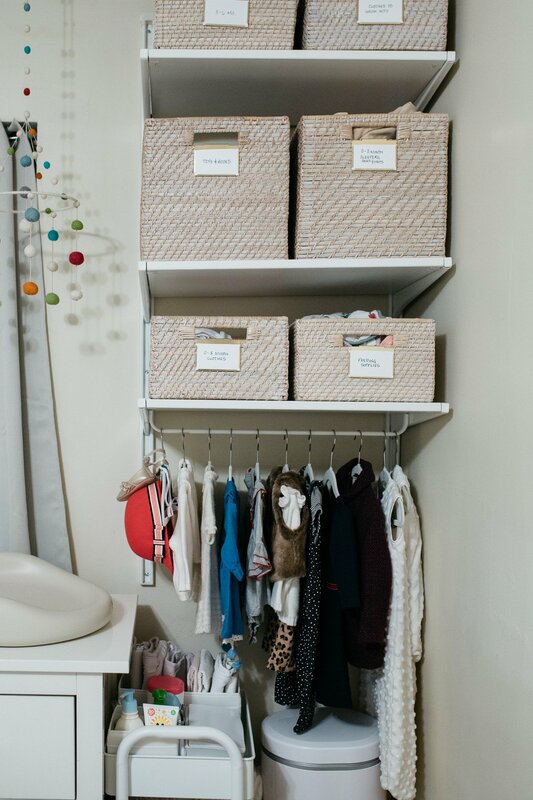 They are perfect for saving space for miniature clothes. 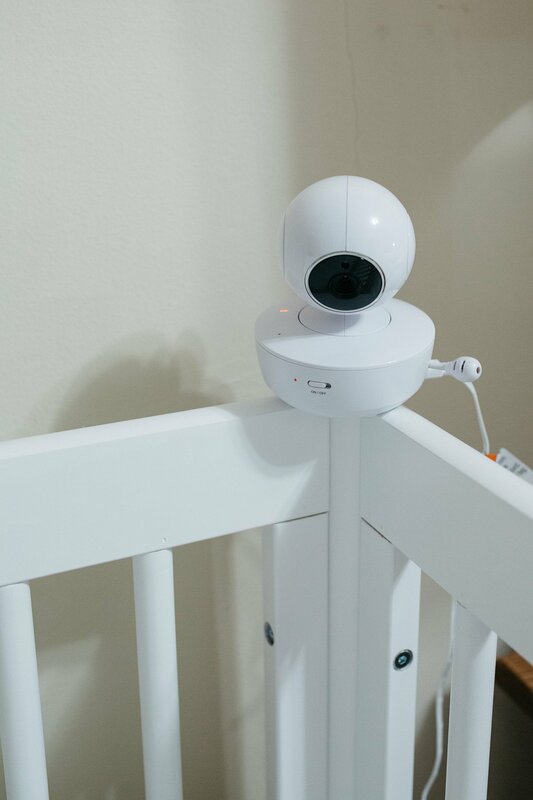 This Motorola Baby Monitor was another item we didn’t initially purchase but decided to buy later. At first we thought that sleeping with the baby in our room would mean we didn’t need a monitor, but we found that it was still really helpful to have for naps and early evening when she goes to bed before we do. And, even though she’s sleeping in the same room as me, I keep it next to my bed overnight because the infrared night vision allows me to see her on the monitor when its too dark to see her in the room. And that’s it! 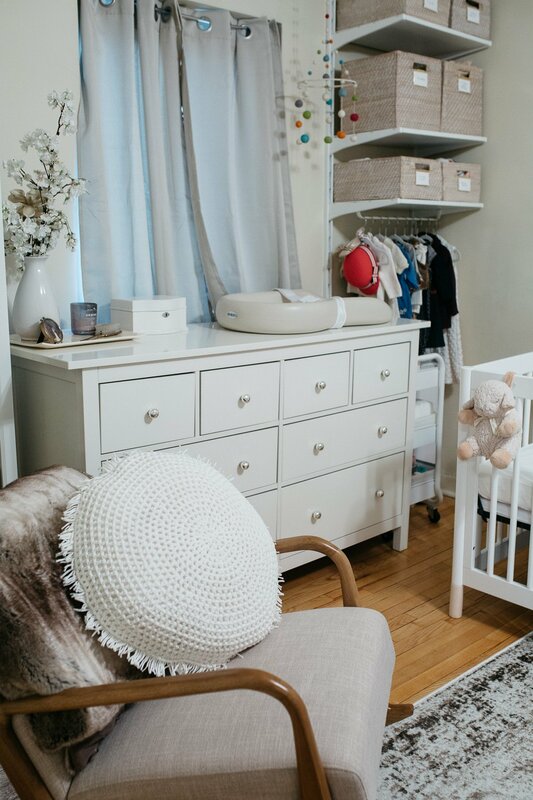 Our tiny nursery was both fun and challenging to put together. 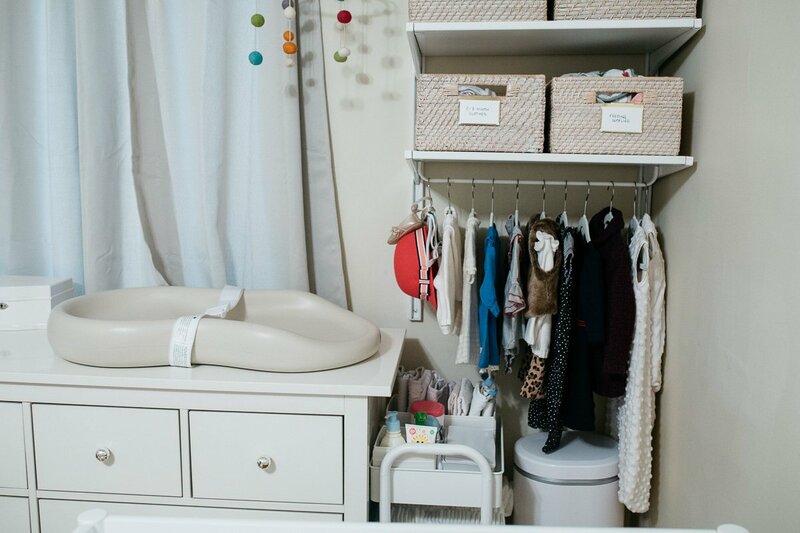 In the end, we were able to create a fully functional, but not overly crowded space for our little one. 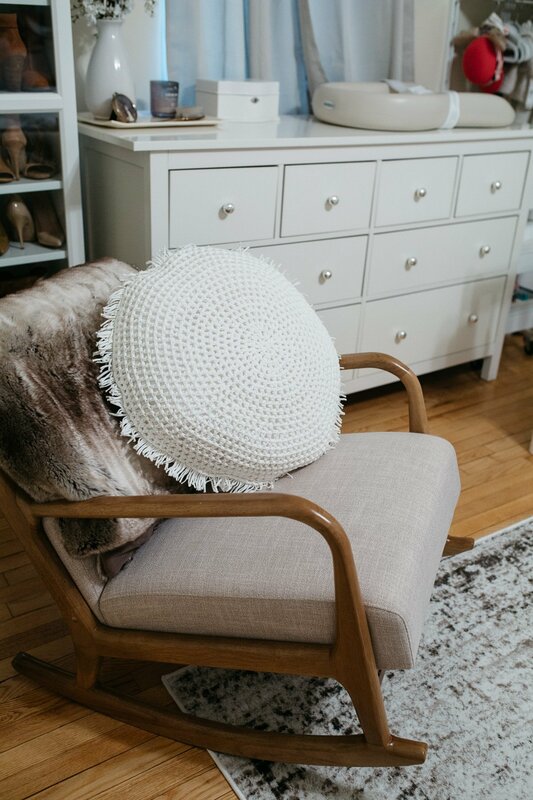 Finding storage solutions for living small always makes for a fun project! 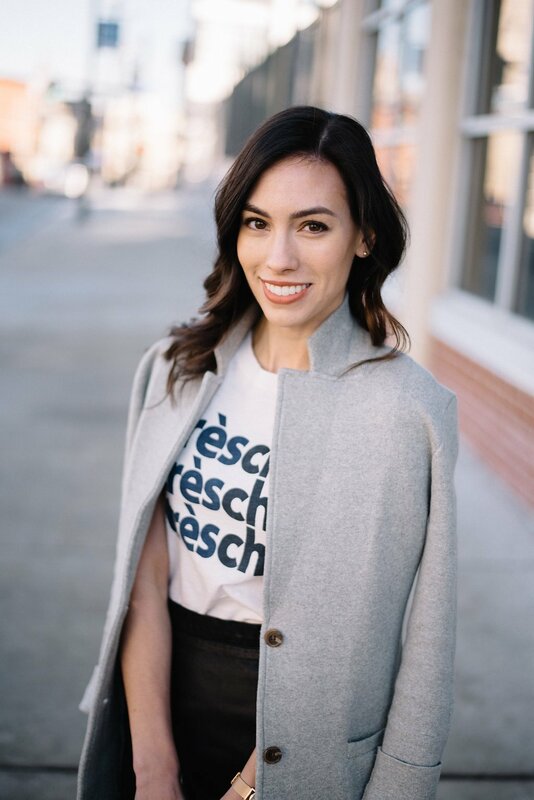 I hope you enjoyed it as much as I enjoyed getting it together! 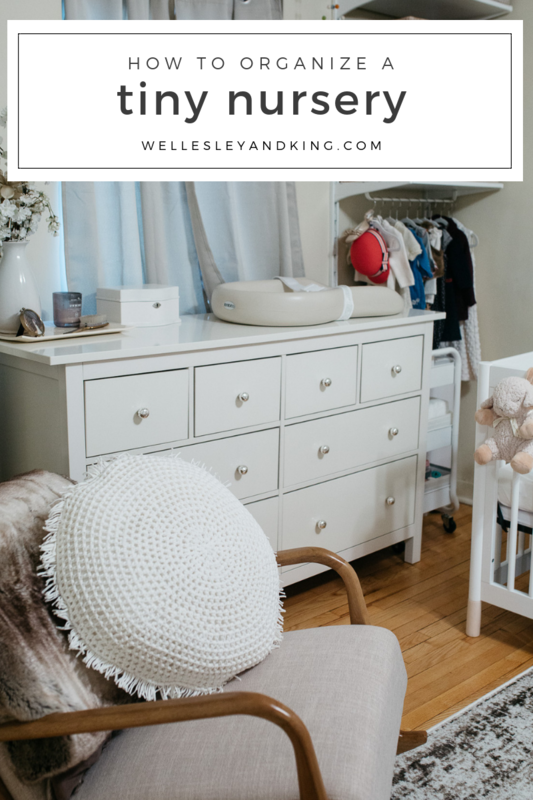 We’re putting together our nursery now, and I’m going to run out and get that cart! Such a good idea. We love it! 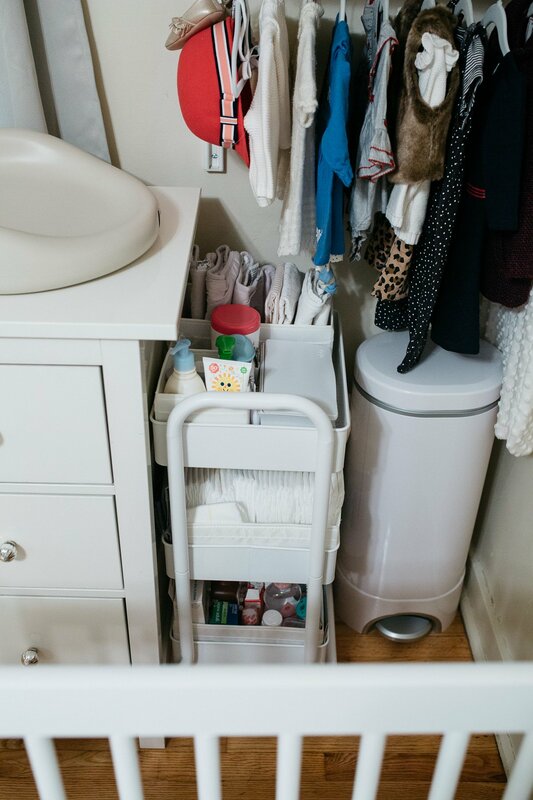 It honestly holds all of our baby essentials and I love that it’s portable. 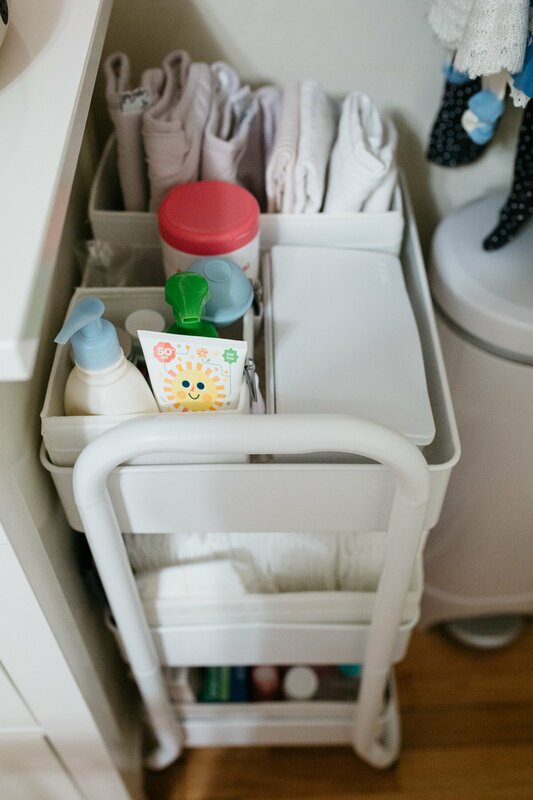 I used these drawer organizers from IKEA to help compartmentalize things, too–in case that helps you. I use the little one for everyday essentials (antibacterial hand sanitizer, thermometer, diaper balm, nail clippers, and baby lotion), the medium ones for medical supplies (tylenol, gripe water, frida baby supplies, etc.) and burp clothes, and the large one for holding diapers nice and tight. I also use the others in my Container Store bins on the shelves. Good luck! 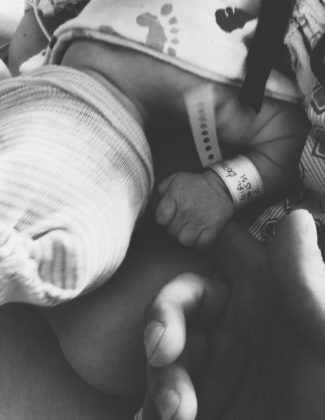 Welcoming your little one is the best experience. It cannot be put into words, just enjoy every single minute–even the tired ones!